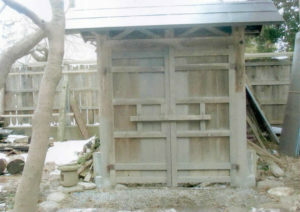 The gate with fencing on both sides next to the entrance of Shakado cuts through the inner garden. 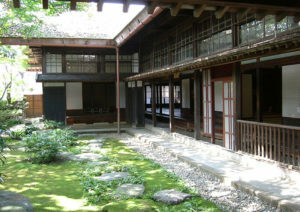 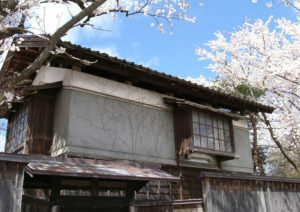 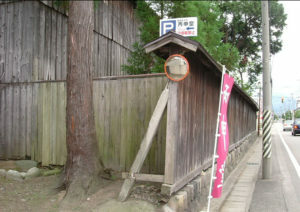 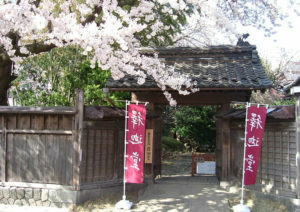 The gate is located next to the tea-room, which would explain its characteristic Rojimon-style, or the style used for tea rooms. 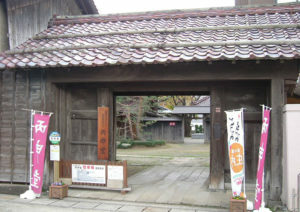 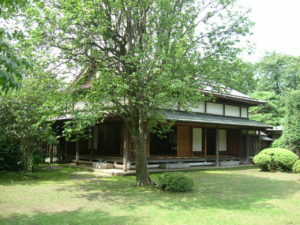 The gate may not be the grandest around but the design has been thoroughly considered, such as the door with its distinct arrowhead pattern, and the roof with its large overhang and molding along the gables, making for a feature of the the Kazama Family Former Villa that cannot be missed. 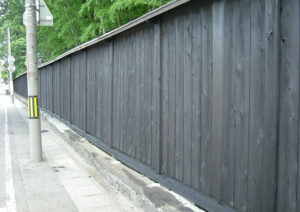 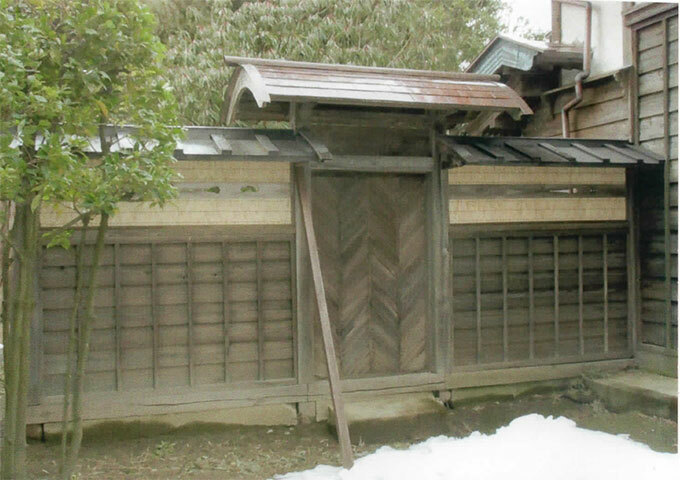 The Udegimon-style gate with fence located within the Kazama Family Former Villa.